Over the last week, Russia-backed militants fired upon the positions of Ukraine’s Joint Forces in the area of Stanytsia Luhanska, Krymske, Novotoshkivske, Luhansk, Pivdenne, Pisky, Novotroyitske, Starohnativka, Pavlopil, Hnutove, Vodyane, Lebedynskem and Shyrokyne. Ukrainian troops’ positions close to Luhansk in Svitlodarsk area came under a powerful attack from 82-mm and 120-mm mortars. The start of escalation. In late July 2018 Russia became more active in the Azov Sea and started stopping foreign vessels as they were crossing the Kerch Strait. The Ministry of Infrastructure said that the Russian Federation had increased the number of checks upon the vessels headed to Ukraine without any reasonable grounds. As of July 16 the number of vessels that Russia stopped for thorough checks reached 148. “We are observing that the Russian Federation has changed its procedures in the Azov Sea, it stops the foreign vessels heading to Ukraine in the Kerch Strait, protracting the issuing of the permission required to cross exactly the Kerch Strait. According to the reports, the delay time sometimes gets to three days,” said Oleh Slobodyan, spokesperson of Ukraine’s State Border Guard Service. He added that the situation also affects the economic attractiveness of Ukraine. According to the international treaty both Russia and Ukraine are entitled to the free use of the Azov Sea, so formally Russia has the right to make checks upon the vessels. “But we do understand what it is done for,” the spokesperson of the Border Guard Service said. Ukraine’s reaction: a project of a new military base in Ukraine. Following the increase of tension in the Azov Sea caused by Russia’s actions, the President of Ukraine Poroshenko ordered to hold a meeting of the Council for the National Security and Defense. On September 16, the Ukrainian government announced that a new military base of the Ukrainian Naval Forces will be set up in the Azov Sea in response to Russia’s actions. “It is planned to establish a military base of the Naval Forces of the Ukrainian Armed Forces by the end of the year. It will make it possible to repel the aggressive actions in the region by the Russian Federation,” the government statement says. On September 16, two armored artillery boats of the Naval Forces of Ukraine were launched in Berdyansk, Zaporizhzhia region. Ukraine’s flagship vessels in the Azov Sea. In the evening of September 23, two vessels of the Ukrainian Naval Forces crossed the Kerch strait and entered the Azov Sea basin. These vessels coming from Odesa will be used to form the Naval Forces base in Berdyansk. The Naval Forces Command of the Armed Forces of Ukraine gave the details of how the vessels crossed the Kerch strait. 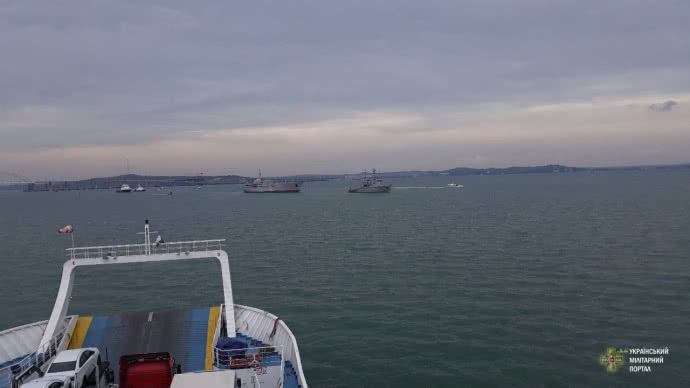 They say the vessels moved to the Kerch strait and crossed it “under complicated circumstances: as Russian vessels were escorting the Ukrainian ones, while the aircraft of the aggressor state flew around the vessels several times including at an extremely low height,” the statement says. What the new military base may be like? There is not much information about the possible base. Ukraine’s Minister of Defense Poltorak said that Ukraine addressed the US asking for assistance in supplying two armored Island-class cutters worth of USD 10 million. It has been already announced that Ukraine will establish another marine brigade. As the Azov Sea basin is small, it will be possible to use multiple rocket launchers or artillery of the ground forces to reinforce the coastal defense of the Ukrainian Naval Forces. 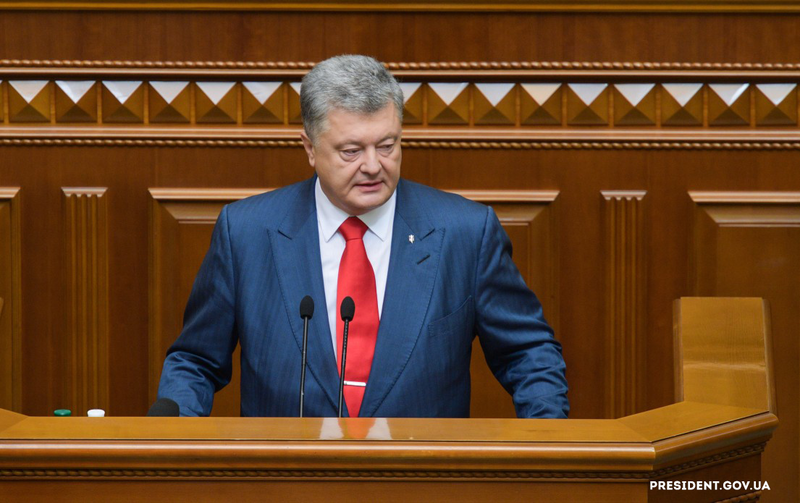 Last week the President of Ukraine Poroshenko made his annual address to the Parliament (Verkhovna Rada). It was the last address of the actual president in his current term in the office. It came as both an attempt to make a summary of his presidency and to present the program for the upcoming presidential elections. How has the rhetoric of the President changed in the past years? What are his key messages ahead of the elections? The full Ukrainian text of the President’s address is available here. The EU and NATO. President Poroshenko presented his take on how the state should be moving towards the EU and NATO membership. “We have finally escaped from the labyrinth of the multi-vector movement. We have hardly jumped out of the deadly non-alignment trap. Since 2014 we are firmly following our path, and this path goes to the European Union and NATO,” the President said. Ukraine’s “European” and “Ukrainian” identities. Poroshenko’s new word is identity. On the one hand he is convinced that the country has found its Ukrainian identity. “Army, language and church is not a slogan. It is a formula of Ukraine’s contemporary identity. The army protects our land. The language protects our heart. The church protects our soul,” Poroshenko said. On the other hand according to Poroshenko, “no one is now denying our European identity”. The President did not offer a clear-cut formula for it, instead he emphasized that “a clear system of restraint and counterbalance is in force in the country”, “the power is of the coalition nature”, while the political system is growing into a “parliamentary-presidential democracy”. It is not easy to understand how Petro Poroshenko sees the “Ukrainian Ukraine” and the “European Ukraine” unite. The fight against corruption.“We have set up the anti-corruption infrastructure. We have invested huge financial resources into some new agencies, while I am not satisfied with their efficiency as the President. The society is disappointed with the dynamics of the anti-corruption fight, and the dissatisfaction of the people can be absolutely justified,” Poroshenko said. Is Russia going to be back in PACE and what will Ukraine do about it? The powerful lobby inside the Parliamentary Assembly of the Council of Europe (PACE) will try to change the procedures of the organization during the October session in order to bring Russia back into its work, reports Ukrainian media “Evropeiska Pravda” (European Truth). Russia and PACE since 2014. To remind, PACE stripped Russia off the voting right in the Assembly in spring 2014 in response to the annexation of the Ukrainian Crimea. Later the sanctions against the state that had been violating the law were reconfirmed and reinforced. The Russian delegation has not been taking part in the work of the Assembly for over three years now, moreover last year Russia stopped paying the regular contribution to the budget of the Council of Europe having thus caused a large-scale crisis in the organization. What can happen on October 9, 2018? As a result of long-standing, powerful and multi-dimensional pressure by Russia, a way was found to bring the country back to PACE despite the sanctions. According to “Evropeiska Pravda”, to achieve that on October 9 during its next session, the Parliamentary Assembly of the Council of Europe will introduce changes to its own procedural rules pertaining to imposing of sanctions. The draft document suggests to increase the quota required for approval of sanctions against the country participant to 2/3 of votes as well as makes more complex the procedure required to initiate it. It is called to make the pressure upon the Russian Federation by means of sanctions impossible as well as attempts to bring back the country that has been violating the law with no obligation to fulfill any of the requirements set by the previous resolutions. Ukraine’s reaction. The Ukrainian delegation has not succeeded to introduce substantial changes to the above document that will be introduced for consideration. “Evropeiska Pravda”, the Ukrainian delegation and human rights defenders have been emphasizing that Russia’s return to PACE with no Assembly’s requirements implemented is going to discredit the authority of the entire organization and is destroying the tool used to exercise pressure upon the countries that violate the law. According to Dmytro Kuleba, Ukraine’s Permanent Representative to the Council of Europe: “The Assembly is being suggested to (…) amputate its own hand used to influence the states so that they adhere to the principles of the rule of law, human rights, and democracy.” In case the Assembly passes the document Ukrainian MPs prepared a statement in which they say that “the basis for the cooperation with the Assembly will be revisited”, while the delegation representatives mention that the delegation may stop participating in the work of PACE should that happen. “Evropeiska Pravda” emphasizes the importance of making public the true reason why the above document will be considered in PACE on October 9, the document that is being “masked” for procedural changes and that instead is an instrument to bring sanctioned Russia back to the Assembly. Hotline +38 050 157 8159, +38 050 157 8423, fax +38 044 593 7407, e-mail press@uacrisis.org. 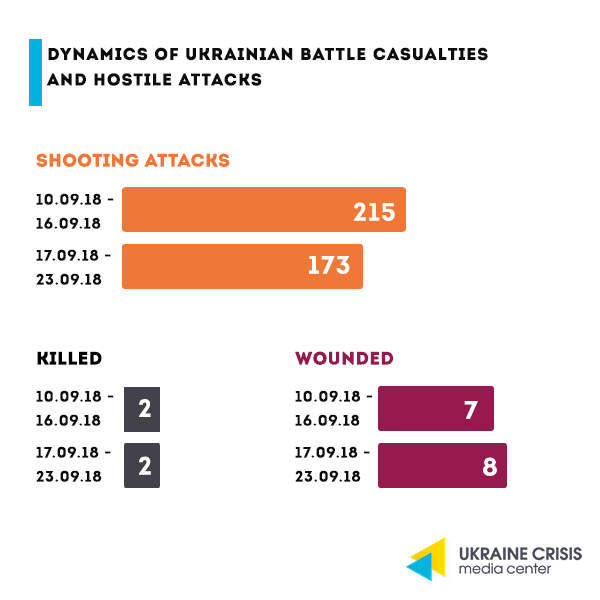 Ukraine Crisis Media Centre was set up in March 2014 to provide the international community with objective information about events in Ukraine and threats to national security, particularly in the military, political, economic, energy and humanitarian spheres. The Centre is providing media support o a 24/7 basis to all those covering events in Ukraine and runs a daily schedule of live press briefings and moderated discussions to provide the world with accurate and up-to-date information about the fast-moving situation in Ukraine. Since inception the Center has evolved into a communications hub with outreach to both internal audiences in Ukraine as well as conducting active outreach to opinion formers and the media outside of Ukraine.